AN IRISH soup brand is planning for further success in Britain in 2018 after achieving a record year since it launched in Tesco stores across the country. 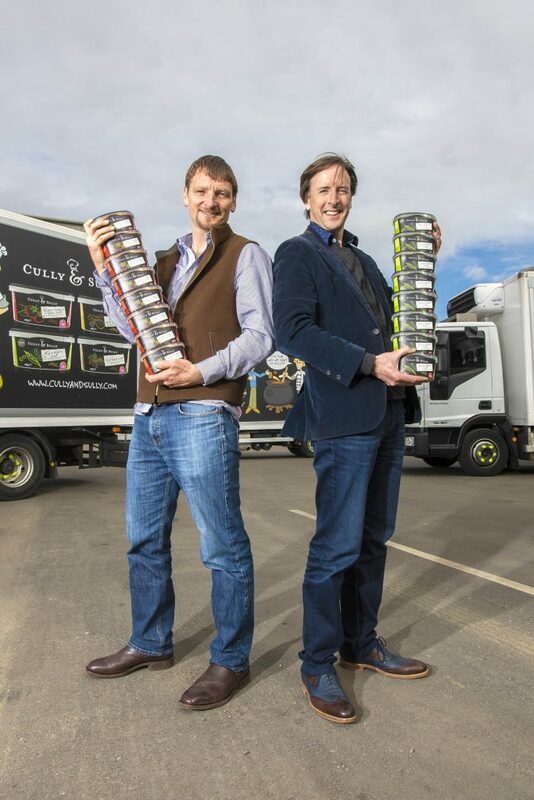 Founded in Co. Cork in 2007, Cully & Sully launched six of their soups in Britain last year, via the supermarket giant Tesco, where they became a best-seller within three months. Cully & Sully is now stocked in over 2,000 Tesco stores across the country and are the fastest growing soup with the retailer, contributing over £300k since being introduced in its UK stores. Just three months after launching into Tesco, Cully & Sully were outselling New Covent Garden and other established brands, they revealed this week. The six flavours they sell in Tesco are: chicken and vegetable; smoked haddock and salmon chowder; tomato and basil; vegetable; pea and minty; and mushroom soups. Founders Cullen Allen and Colum O’Sullivan, who met at secondary school, believe their friendship has influenced their approach to business, ensuring that the brand directly reflects their passion for food and fun. Following a record year in 2017 – which saw the Cork-based company turnover €13million and also be ranked in the Top 100 Brands Ireland - the pair plan to further their achievements in Britain in the year ahead. Last week they unveiled a set of newly-branded trucks at their distribution centre in Peterborough to celebrate their record UK sales and a company forecast of £15m turnover for 2018. Cullen Allen explained: “We have big plans for 2018, with new soups coming out later this year and are absolutely thrilled with the ranking in this year’s Top 100 Brands Ireland. He added: “We still make our soup the way you would make it at home and with only ingredients your granny has heard of. The firm, which claims flexibility is the key to their growth – having existed without an office for its first five years of operation, was purchased by the Hain Celestial Group in 2012. However founders Cully and Sully remain at the head of the business. The brand currently employs a staff of 12, all of whom are involved in new product development and tasting to ensure all new products meet the company’s high standards.